Polish dramatist who was a pioneer of absurdist fiction, he wrote the popular plays Tango, Emigranci, and The Elephant. He graduated high school in 1949 and worked as a political hack-writer in the Polish magazine Przekrój. He wrote a full-page article commending the death sentence of three Catholic priests from Krakow, whom he compared to Ku-Klux-Klan members. He and his wife defected to Italy in 1963. 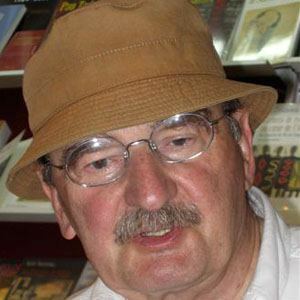 He and Per Olov Enquist both won the Austrian State Prize for European Literature.